Modbar and Marco - Marco Beverage Systems Ltd.
Marco has been a fan of undercounter technology for years stretching from our Oceanic range right through to our Uberboiler, Ecoboiler and Ecosmart undercounter ranges. The space saving potential opens up a wave of new possibilities as it frees up counter space to do more and we’re always interested in new technology coming onto the market. With this in mind we are delighted to be involved with Modbar both as investors and consultants as they bring their products to market. Introducing its product line at SCAA Boston at booth 892, Modbar is an American manufacturer offering espresso, steam and pour-over modules that feature under-counter water boiler units and counter-top taps. The Modbar system opens the counter, adding theatre to coffee preparation and improving communication between guests and the barista. Modbar currently offers three modules: espresso, steam, and pour-over. Modbar are an independent company which manufactures in Fort Wayne, Indiana. 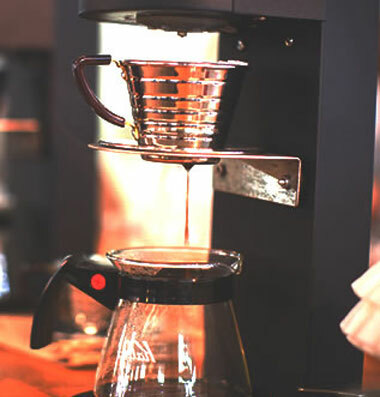 We have contributed business, design, and technology input, while product and feature input has been sought from leading experts in the coffee industry, including baristas, roasters, and top equipment technicians. Early versions of Modbar equipment were developed nearly 10 years ago – this current Modbar line has been in development ever since. You can contact them here. Take it handy.